Half of Oregon's dispensaries will start selling marijuana to any adult beginning this week, the FDA fires back at critics of its pediatric prescribing rules for Oxycontin, a high UN official lists the ways the drug "problem" impacts human rights, and more. Florida Legalization Bill Filed . Rep. Michelle Rehwinke Vasilinda (D-Tallahassee) has introduced a bill to legalize marijuana. The measure is House Bill 4021 . This is the second time she has filed the bill. Oregon Dispensaries to Start Selling to Recreational Users This Week . More than half of the state's 345 medical marijuana dispensaries have told the Health Authority they plan to sell recreational marijuana starting Thursday, October 1. Recreational marijuana has been legal in the state since July 1, but recreational pot shops won't be open until next year, so the state is allowing dispensaries to fill the void. Maryland Now Taking Applications for Medical Marijuana Businesses . As of Monday, the Maryland Medical Cannabis Commission  is accepting applications for state licenses for growers, processors, and dispensaries. The commission will issue 15 licenses for growers, up to 92 for dispensaries, and an unlimited number for processors. The deadline for applications is November 6, and dispensaries could be stocked and open by next fall. Click on the commission link for more details. 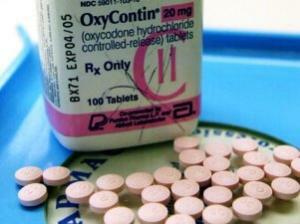 FDA Rejects Critics on Oxycontin for Youth . In response to critics including US senators, the Food and Drug Administration (FDA) has defended its decision last month to allow the prescribing of the powerful opioid to pediatric patients. Critics accused the agency of expanding access to the drug, but the FDA said doctors could already prescribe Oxycontin to pediatric patients and the agency was merely setting prescribing standards. "It's important to stress that this approval was not intended to expand or otherwise change the pattern of use of extended-release opioids in pediatric patients," said FDA spokesman Eric Pahon said in a statement. "Doctors were already prescribing it to children, without the safety and efficacy data in hand with regard to the pediatric population." UN Official Says Drug "Problem" Violates Human Rights in Five Areas . UN Deputy Commissioner for Human Rights Flavia Pansieri said Monday that the global drug "problem" violates human rights in the areas of the right to health, rights relating to criminal justice and discrimination, the rights of the child, and the rights of indigenous peoples. "It is clear that the world's drug problem impacts the enjoyment of a wide range of human rights, often resulting in serious violations," said Pansieri, "It is, nevertheless, a positive development that human rights are increasingly being taken into account in the preparations for the General Assembly's Special Session on the world drug problem to be held in April 2016." The remarks came during her report to the High Commissioner on Human Rights. New York Governor Signs Bill to Expand Opiate Maintenance in Drug Courts . Gov. Andrew Cuomo (D) last Friday signed into law Senate Bill 4239 , which prohibits drug court judges from forcing defendants to withdraw from opiate maintenance treatments as a condition of avoiding prison. Click on the title link for more details. New Zealand Activists Call for Party Pill Drug Testing . The New Zealand Drug Foundation is calling on the government to legalize pill testing services. Foundation Executive Director Ross Bell said it was only a matter of time until someone died taking pills of unknown provenance. He added that the government routinely tests drugs for criminal justice purposes, and that those results should be made available as a public health measure. The government said it hadn't considered pill testing, but was open to the possibility in the future.